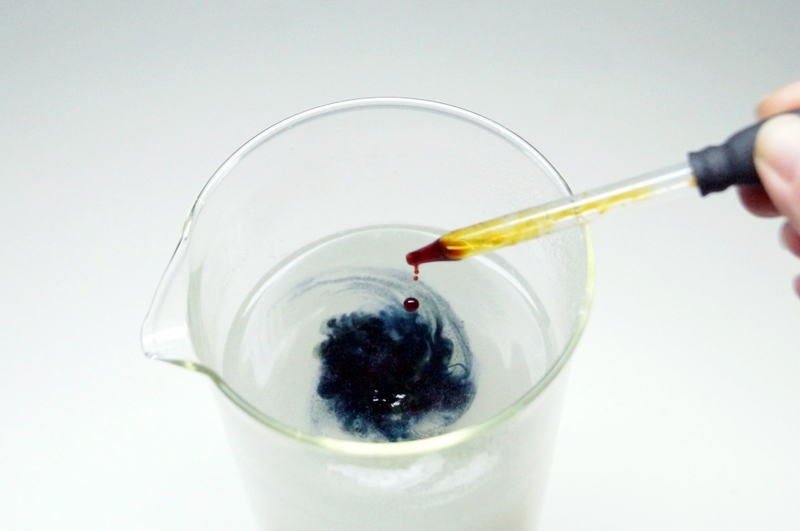 In the pursuit of a new class of photovoltaic materials, researchers at UC Santa Barbara happened upon an entirely different discovery that addresses a centuries-old mystery of chemistry: Why does an iodine solution turn blue-black when starch is added to the mix? The exact structural-chemical mechanism that causes the intense deflection of blue light during this transformation has been a subject of active speculation until this point. Shedding light on this mechanism, UCSB researchers in the labs of materials professors Fred Wudl and Ram Seshadri report first observation of crystalline infinite iodide polymers, discovered as part of a pyrroloperylene-iodine complex, an organic semiconductor that contains iodine. Their paper, Infinite Polyiodide Chains in the Pyrroloperylene-Iodine Complex, was recently published in Angewandte Chemie. Fast forward two centuries of scientific discovery to UCSB researchers using a technique called Raman spectroscopy, which observes the light-scattering patterns of a molecule that can be a unique fingerprint, to study iodine chains in a semiconducting pyrroloperylene-iodine complex. They initially set out to study this promising organic semiconductor material as part of a new class of solar power-generating materials, a project funded by the U.S. Department of Energy. “We determined that, when iodide is in the presence of iodine and interspersed between molecules of pyrroloperylene, a polymer chain forms,” Wudl explained. “There is only one other element that can form its own polymeric chain, and that’s sulfur.” Single-element polymeric chains are a rarity, to say the least. “The problem with sulfur polymer chains is that they’re not crystalline,” Wudl continued. 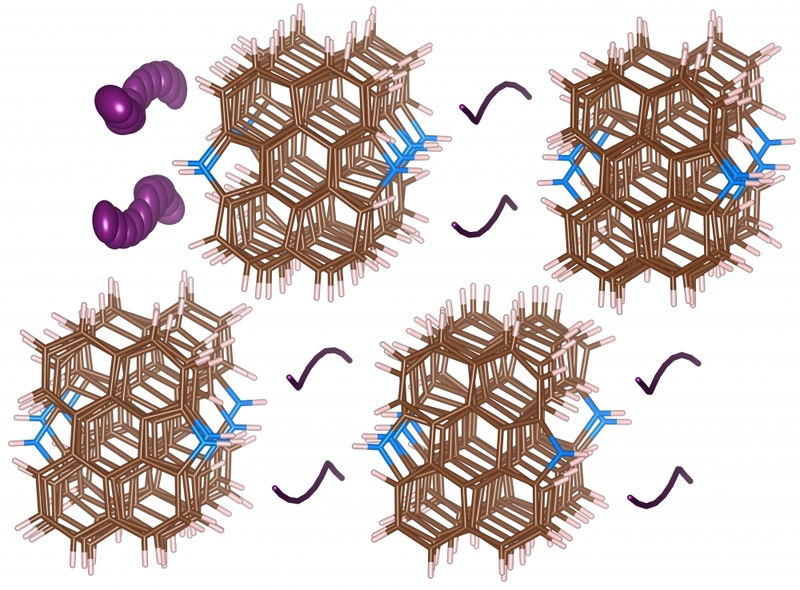 “If there’s no molecule repeating in a precise way you can’t determine where all the atoms are.” The crystalline structure of the polyiodide chain is what allowed the UCSB materials researchers to clearly observe iodine in this form.